Did you always know you wanted to teach art? I started college knowing in all certainty that I wanted to be an art teacher. A few years into college, I fell in love with ceramics. With a gentle push and some positive encouragement from my professor, Anat Shiftan, I decided to double major. This was one of the best decisions of my life. 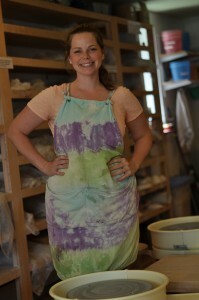 I graduated in 2006 with a Bachelor of Science in K-12 art education, as well as a Bachelor of Fine Arts in ceramics. In 2011, I received my Master of Arts in art studio from SUNY New Paltz, as well. My experiences throughout undergraduate, graduate, and in between definitely helped prepare me for my career. I am very lucky to have landed my dream job where I can share my ceramic knowledge and provide a creative outlet for my students. I absolutely love teaching. What I love most are my students, who inspire me in as many ways as I hope to inspire them. They are a constant challenge with constant rewards. It is so much fun to be able to share the medium I love with them and see what they come up with. Who made an impact on you at SUNY New Paltz? Professor Anat Shiftan had a profound impact on my life as an artist, as well as a person. 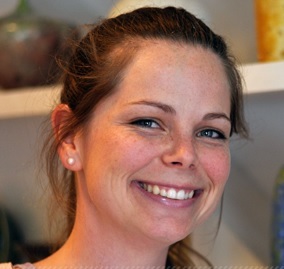 Anat took me under her wing and really motivated me to make meaningful and beautiful ceramic artworks. I admire her knowledge and honesty. She introduced me to artists who really affected my work and continue to inspire me. Her critiques were brutally honest and invaluable. I would leave the critique process more inquisitive than ever, which always led me in a good direction. After college, I worked as Anat’s assistant, which was a great experience. It helped me see a different side of art making, and also got me hooked on listening to NPR. I can now say we are friends. 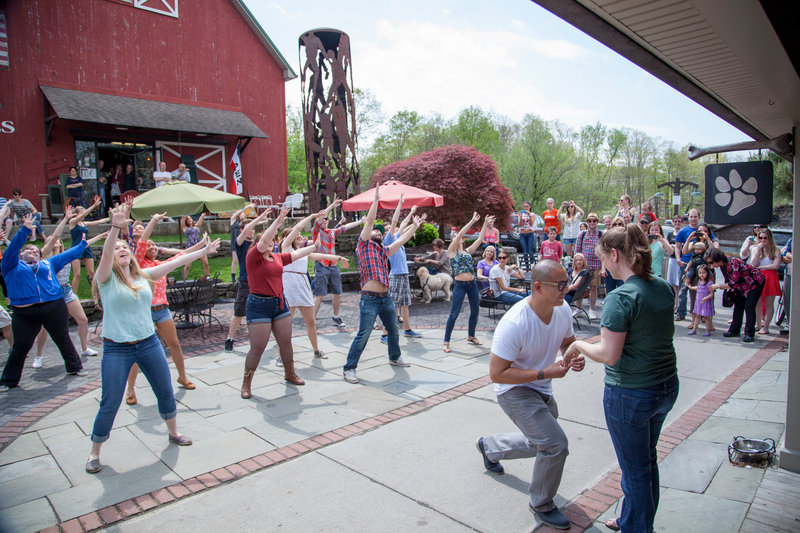 Amanda’s now-husband Paul contacted the SUNY New Paltz Epic-Glee Club to organize a flash mob marriage proposal at Water Street Market this past May. Do you remain engaged with SUNY New Paltz? I visit New Paltz often to casually walk around (both the village and the campus), as well as attend events. For the past two years, I have attended the annual New York State Art Teachers Association conference that takes place on campus. I try to attend the artist lecture series as often as possible. I was so happy to be able to meet and work with artist Richard Notkin when he was a visiting artist at SUNY New Paltz last year. On a fun side note, I recently got married. My husband, then-fiancée, contacted the SUNY New Paltz Glee Club to make his vision come to fruition, and together, they orchestrated a flash mob proposal at Water Street Market this past May! A message to current New Paltz students: I would love a student teacher from SUNY New Paltz. Send them my way!